What is GHS? 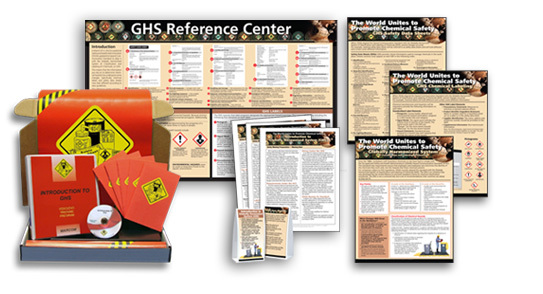 Use this resource guide to become familiar with GHS, how it affects you and what you need to do to implement it properly in the workplace. Hazard classification (formerly hazard determination) is one of the major areas of change. Definitions of hazard now provide specific criteria for classification of health, physical, and environmental chemical hazards along with the classification of mixtures. The current Hazard Communication Standard (HCS) provides parameters for evaluation, but doesn't give specific, detailed criteria. The revised HCS, on the other hand, has specific criteria for each health and physical hazard, plus detailed instructions for evaluation. This new method of evaluation is covered in the required GHS training. The revised HCS also establishes hazard classes and categories. A class describes the different hazards. For example, "Gases under Pressure" is an example of a class in the physical hazards group. Categories are used to describe the sub-sections of classes. For example, "Self-Reactive Chemicals" has seven categories. Each category has rules or criteria to determine which chemicals are assigned to that category. A pictogram, which is the GHS symbol on the label and SDS (there are nine.) Not all categories will have an associated symbol. A hazard statement, which is a description of the nature of the hazards of the chemical. There is a hazard statement for each category of a class. For example, for chemicals in the "Self-heating substances and mixtures" class (category 1), the hazard statement would be "Self-heating; may catch fire." This would appear on both the label and the SDS. A precautionary statement describing recommended measures to minimize or prevent adverse effects resulting from exposure to, improper storage of, or handling of a hazardous chemical. 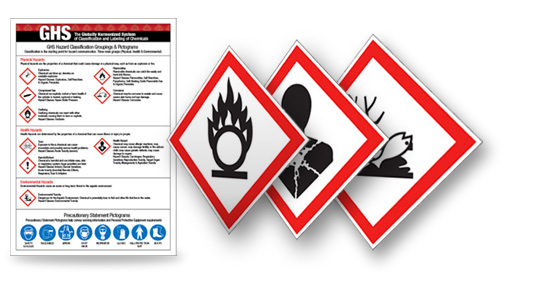 Information on the safety data sheet (SDS) will be about the same as what we currently have (MSDS). The current standard indicates what should be included, but doesn't specify a format for presentation or order of information. The revised HCS has sixteen sections and uses consistent headings in a designated sequence. There are nine pictograms used in GHS to convey health, physical, and environmental hazards. The revised Hazard Communication Standard (HCS) requires the use of eight of them, with the exception being the environmental pictogram. Can I change pictogram borders? According to the revised HCS, all pictograms must have red borders. The purpose of keeping the color consistent is to increase recognition and make them easily comprehensible. Although some businesses might prefer to use a black border for domestic shipping, red is required for both domestic and international shipping. In addition, all red borders printed on a label must have a symbol printed inside. This is meant to limit confusion from workers who might be faced with blank labels. So, for maximum recognition and impact of warning labels, and to ensure that users don't get desensitized to these warnings, a symbol must always be used with the red border. With the revised Hazard Communication Standard (HCS), it's now okay to update labels when new information on hazards becomes available. 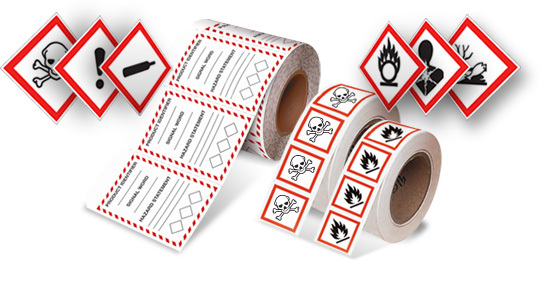 In fact, chemical manufacturers, importers, distributors, or employers who become "newly aware" of any significant information on the hazards of a chemical need to revise the labels within six months. Labels on any containers shipped after that time must have labels with the new information. 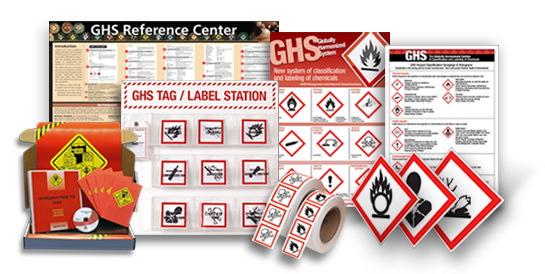 OSHA requires that all employees be trained on the new GHS label elements and the safety data sheet (SDS) format. If your employees missed the original December 2013 training deadline or if you hired new employees after that date, start training them now. Employees must be familiar with the labels and know how to understand and use them as soon as possible.